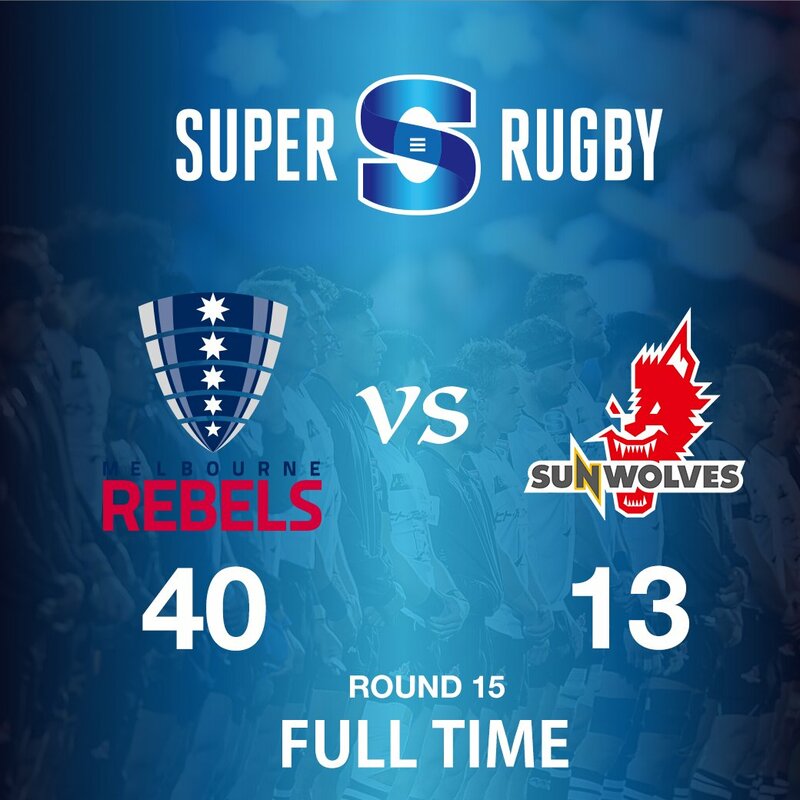 FULL TIME - A comprehensive win here tonight for the Rebels as they beat the Sunwolves 40-13 to keep the pressure on the Waratahs at the top of the Australian Conference. The Sunwolves continue to throw the ball around right to the end as they look to finish the match with a try. 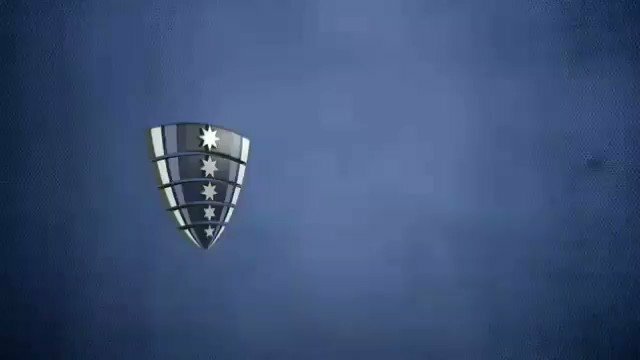 Haylett-Petty intercepts a kick pass and the Rebels turn defence into attack. 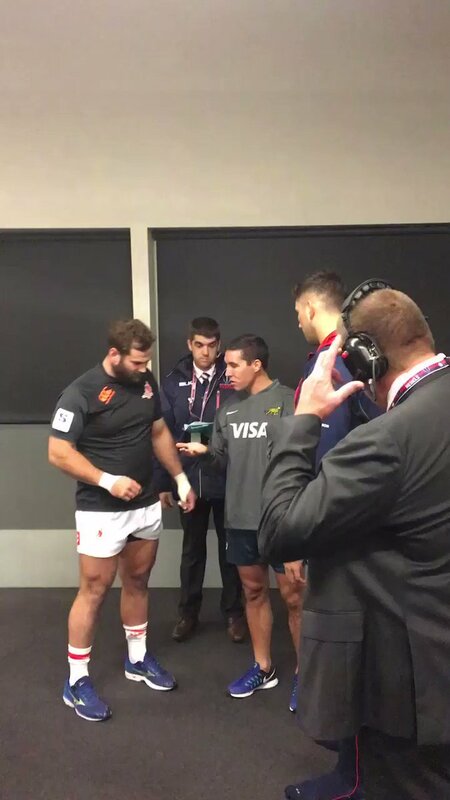 The Sunwolves are back to their full compliment as Saumaki returns from the sin bin. Hodge is back on target as he bangs over the conversion from out in front. The flood gates have opened. 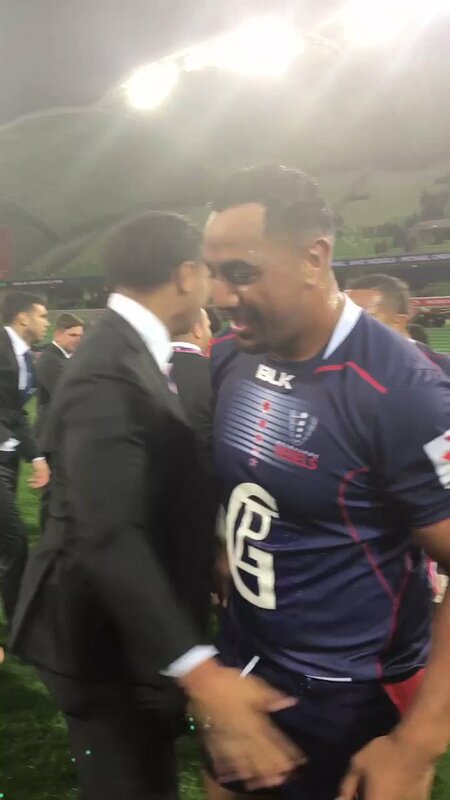 Soft defence from the Sunwolves as the Rebels shift the ball down th left edge again where Koroibete shrugs off one tackler before stepping out of another tackle to grab a hattrick. MISSED CONVERSION - Hodge is unable to convert the try from the sideline as he sprays the ball wide of the right hand upright. It's a simple numbers game for the Rebels as they shift the ball wide out to the left where Haylett-Petty shapes to pass short before firing a cut-out pass to an unmarked Koroibete who grabs a double in the corner. YELLOW CARD SUNWOLVES (Hosea Saumaki) - Saumaki is sent to the sin bin for a professional foul on his own goal line. The Sunwolves are down to 14 men for the next 10 minutes. The Rebels breakout from their own half as Koroibete kciks a loose ball ahead. The winger gets a second kick on the ball and Meakes wins the race and keeps the ball alive. Cottrell loses the ball as he reaches out to score but the referee has gone to the TMO to check for a Sunwolves players who may be offside. Swarming defence from the Sunwolves as they rush Hodge forcing him into an error. Hodge, not a natural flyhalf was perhaps standing too flat on this occasion. A mix up in midfield for the Sunwolves as a loop around transfer pass hits the ground resulting in a turnover. The Sunwolves are certainly trying hard but their execution has been poor at times throughout the match. The Rebels defence is holding firm as they force the Sunwolves back to the 22m line. Eventually Cottrell makes a dominant tackle and strips the ball to earn a turnover and a penalty for his side. Hodge clears the ball to touch on the Sunwolves 40m line. 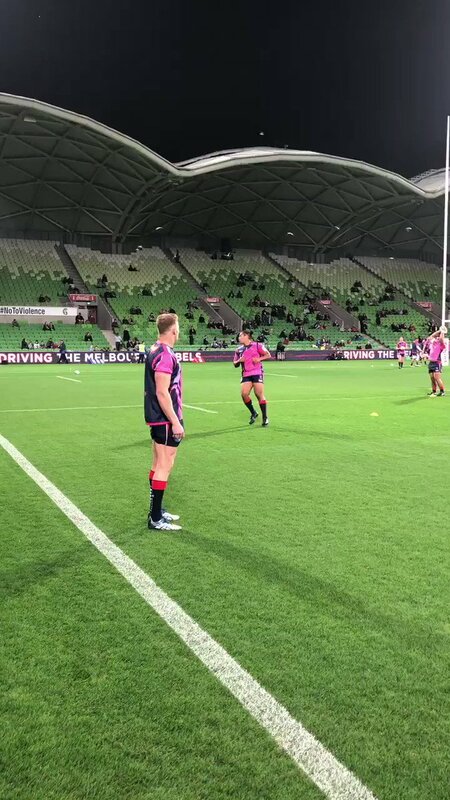 A rare mistake at set piece from the Rebels as they are penalised for playing the jumper in the air at line-out time. Parker kicks to the corner and the Sunwolves have a rare 5m line-out to attack from. Hodge continues his superb night off the tee as he drills the conversion from right on the sideline. Maddocks grabs a double as he comes up with an athletic finish in the right corner after some slick passing in the build-up. The Rebels win a line-out against the throw but are unable to capitalise as another mistake brings play to an immediate halt. The Rebels make an early handling error in the second half with Sa'aga spilling the ball as he goes into contact. 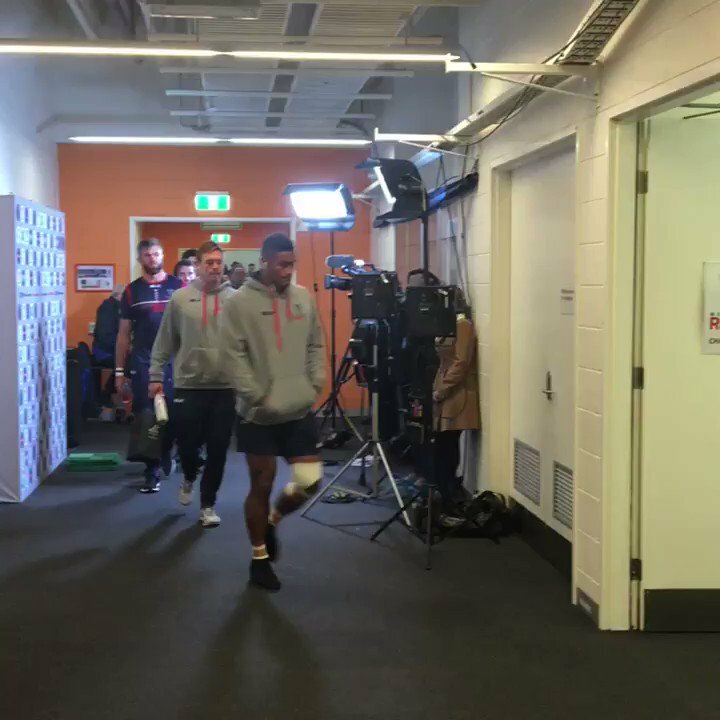 The players have returned from the sheds and Hodge restarts play in the second half. 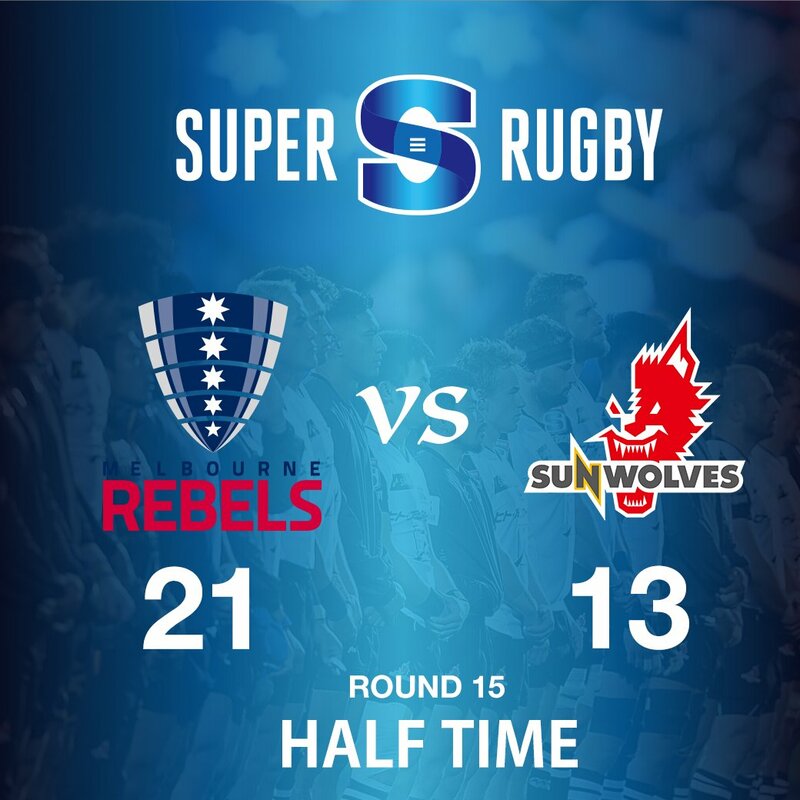 HALF TIME - The first half comes to an end with the Rebels leading the Sunwolves 21-13. 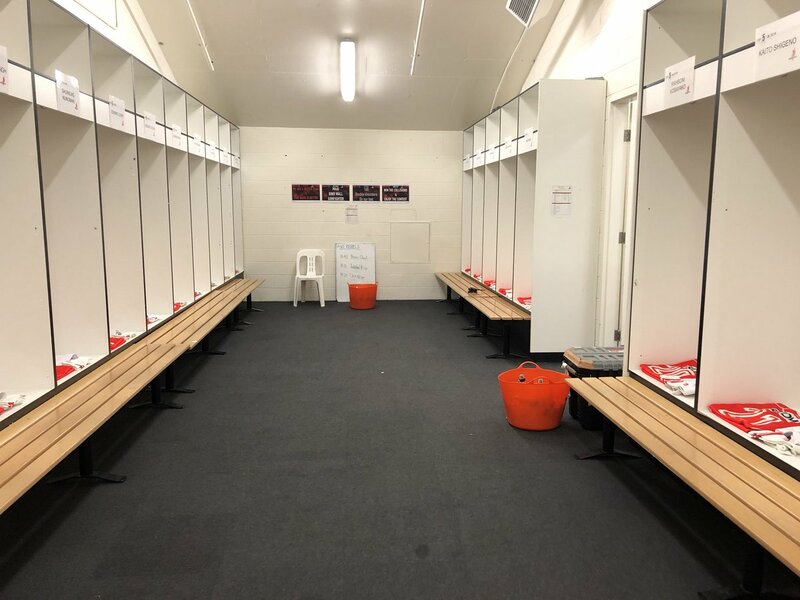 The Sunwolves shot out of the gate with an early try before the Rebels hit back with three tries of their own but the Sunwolves clawed there way back late in the first half and remain in the contest at the break. Parer keeps the scoreboard ticking over for the Sunwolves as he bangs through his second penalty of the night from close range. The Rebels lead is cut to eight points. A promising passage of play by the Sunwolves with Lemeki making a half break down the right wing. Little continues the momentum with a pick and go and after four or five phases the Rebels concede a penalty. 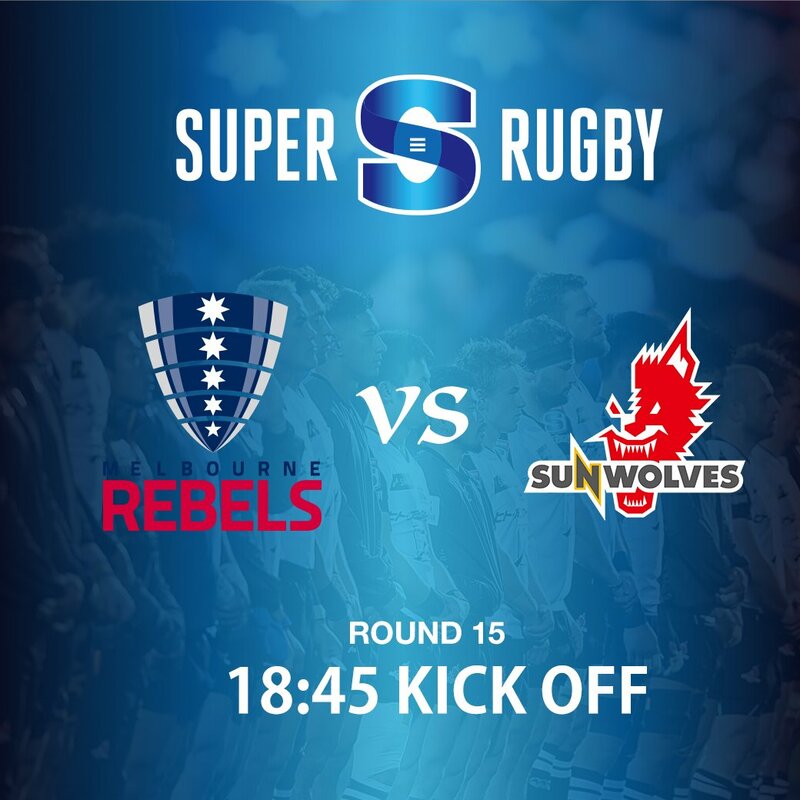 Superb line-out work again from the Rebels as they trap the ball up off the ground earning a turnover as the Sunwolves cannot release the ball. 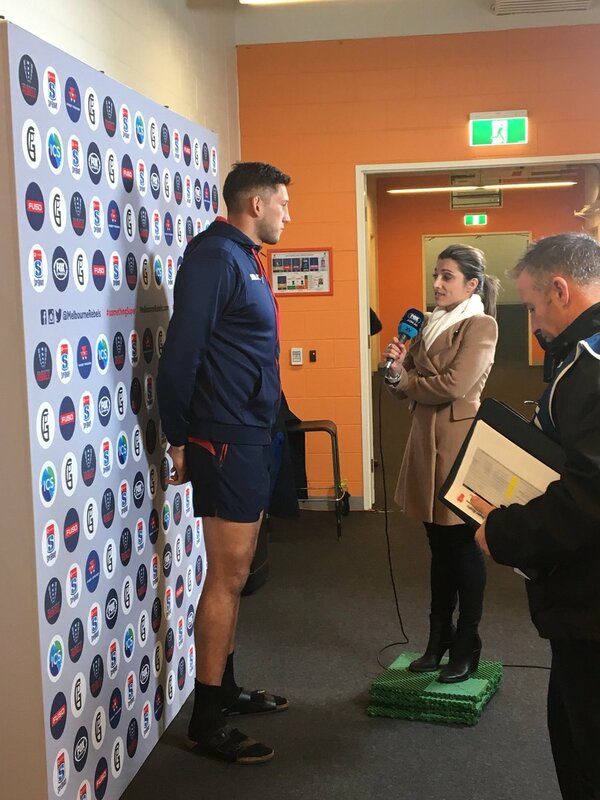 Perhaps the Sunwolves need to think about playing the ball off the top from the line-out. A great strike from Parker as he guides the ball between the posts reducing the deficit to 11 points. The Sunwolves earn a penalty at the breakdown as Mafi is penalised for not releasing on the ground. Parker will shoot for goal from 45m out in front. Frustration or the Sunwolves as Little spills a short ball as he charges at the Rebels fringe defence. 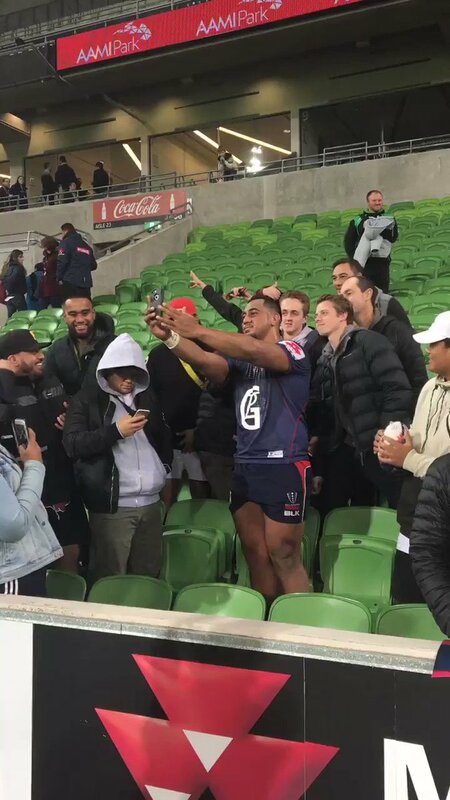 The Rebels will now have the opportunity to clear the ball from their own territory via a scrum. The Sunwolves look rattled at the moment and have been sloppy with the limited possession they have had of late. Their forwards really need to start earning some hard yards to allow their backs some space to operate in when the ball does get spread wide. A wonderful strike from Hodge as he thumps the ball straight down the middle to extend the Rebels lead to 14 points. Quick thinking from the Rebels number 8 as he jumps over and throught the ruck to score the Rebels thrid try. The Sunwolves fringe defenders were caught napping there. 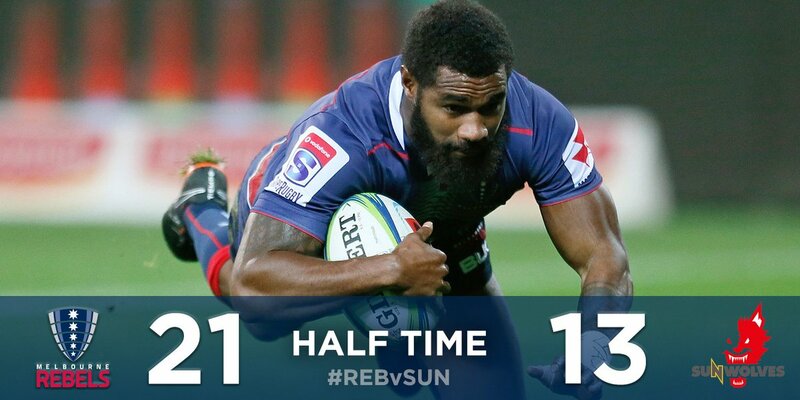 The Rebels continue to dominate field position as they patiently work their way up to the Sunwolves 22m line. The visitors eventually concede a penalty at the breakdown and the Rebels opt for a 5m line-out. Hodge makes it two from two off the tee as he kncoks over the conversion from out in front. Rebels lead 14-7. Individual brilliance from Maddocks as he slices through the Sunwolves defence close to the ruck to score under the posts and give the Rebels their first lead of the night. Hodge dummies and takes on the line but can't quite manage to slip the tackle of Parker. The Rebels have front foot ball on the Sunwolves 22m line. 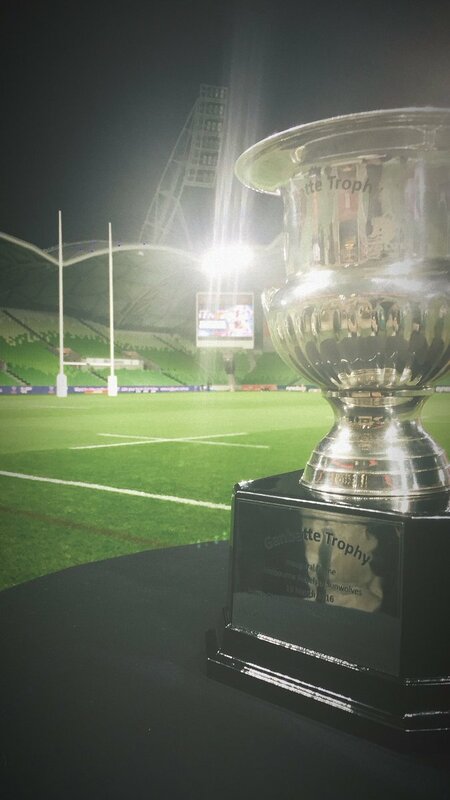 Superb line-out defence from the Rebels as they stop the rolling maul before trapping the ball and not alowing the Sunwolves to recycle possession resulting in a turnover. The Rebels offer the Sunwolves an easy piggyback upfield as they concede a penalty at the breakdown. 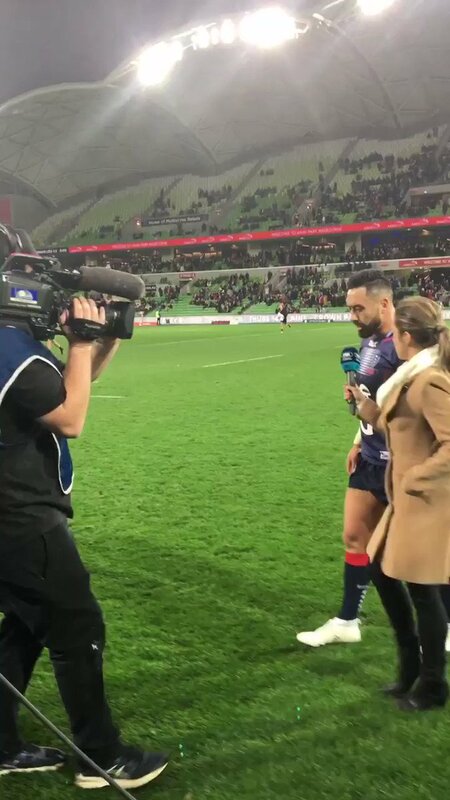 A great counter ruck from the Rebels goes unrewarded as Maddocks knocks on after winning the turnover. 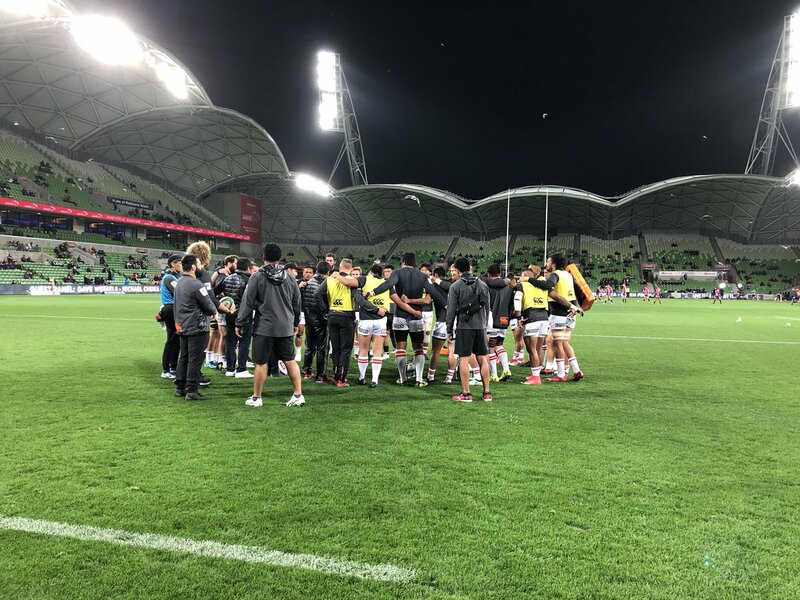 The Sunwolves are full of running to begin this match and are intent on stretching the Rebels defence sideline to sideline. A simple first up attempt for Hodge and he makes no mistake as he adds the extra two points from out in front. The Rebels strike back immediately as Meakes carves the Sunwolves open in midfield before drawing and passing to put Koroibete away to score under the posts. Parker is on target first up off the tee as he nails the conversion from wide out to the right. A dream start for the Sunwolves as they forwards make good inroads through the middle of the field before some slick handling down the right capitalises on an overlap sending Lemeki over untouched in the right corner. An early penalty is awarded to the Sunwolves with the Rebels caught offside at the breakdown. 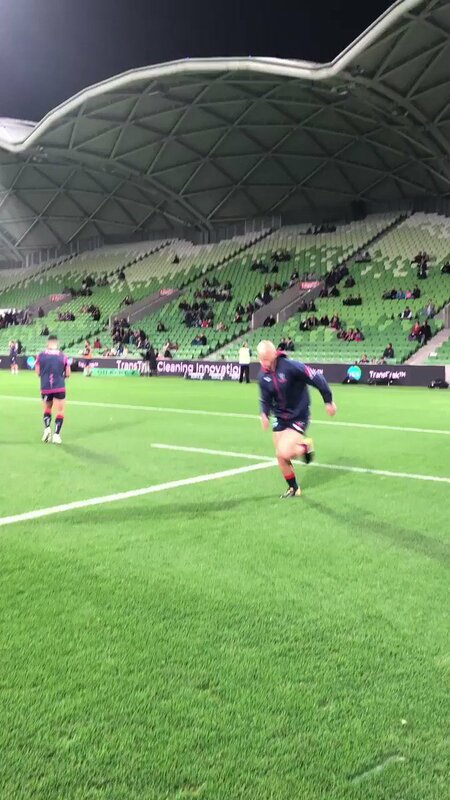 Reece Hodges starts at flyhalf for the Rebels and he will look to control the game with his powerful boot. 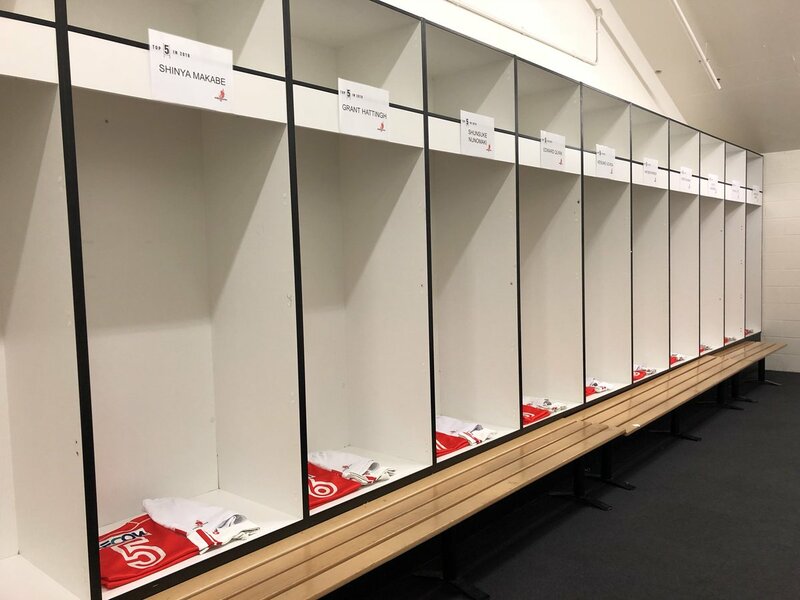 Amanaki Mafi will look to lead from the front with his powerful ball running and will get great support from his flankers in Colby Fainga'a and Angus Cottrell.The Sunwolves will again be looking to first five Hayden Parker to drive them around the field while Michael Little has been excellent in midfield over the last few weeks. 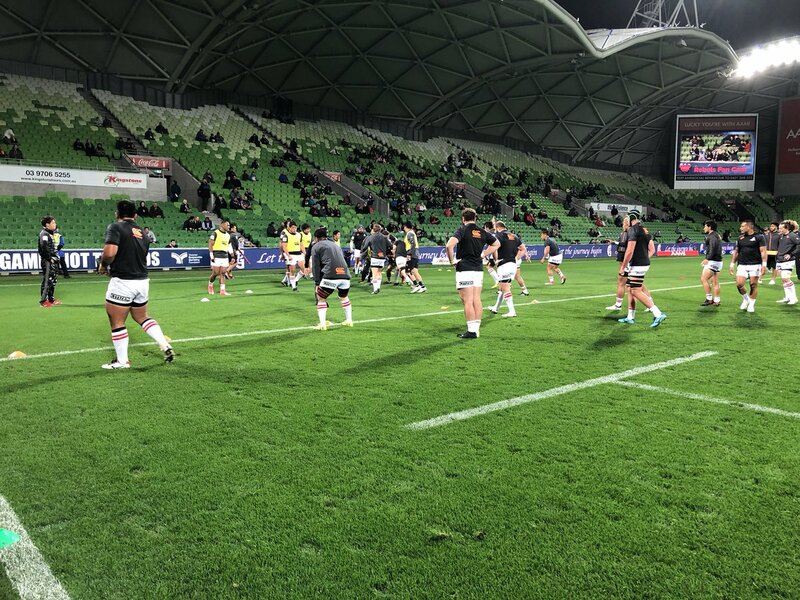 Friday night Super Rugby action continues from AAMI PArk in Melbourne with the Rebels playing host to the Sunwolves. 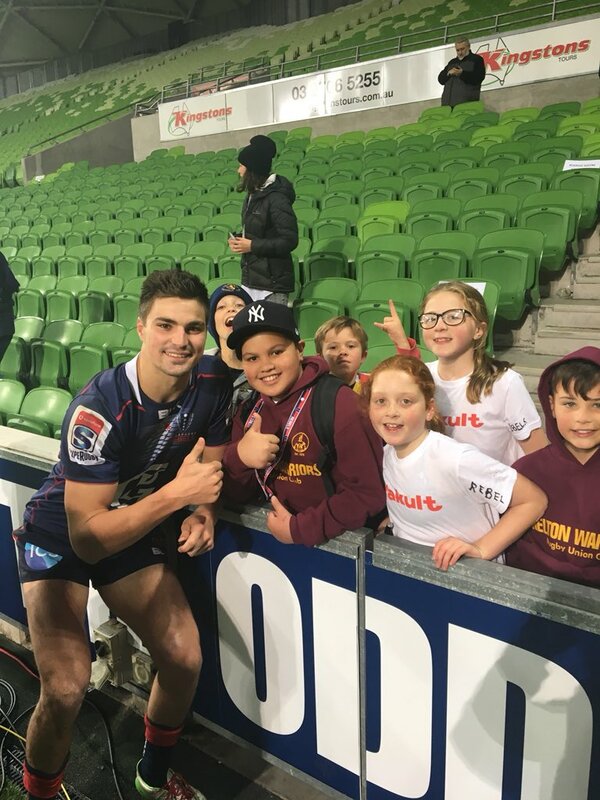 The Rebels are looking to stay in touch with the Waratahs atop the Australian Conference while the Sunwolves are looking for their third consecutive win. RT @nickheathsport: For all those querying the Brown/Daly positional selections, here's what Eddie Jones told me earlier.